Lying just 30 minutes from Perth, Fremantle is a vibrant and historic port city that has a wealth of things to see and do, head to the scenic Fishing Boat Harbour to enjoy waterside fish and chips, explore Freo's colonial history at historic Fremantle Prison, imbibe a drink or two on the vibrant 'Cappucino Strip' and take a historic tram ride. Breakfast, Luxury Coach Tour with Hotel Pick Up, Overnight Accommodation. Western Australia's glorious Margaret River region is blessed with a wealth of incredible natural beauty, sensational beaches and rugged coastline, verdant rolling hills, towering forests and ancient limestone caves, the region is home to award winning wineries and restaurants, art galleries, boutique breweries and sensational local produce. 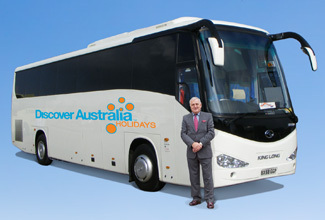 Breakfast, Luxury Coach Tour with Hotel Pick Up, Special Brewery Lunch, Overnight Perth Accommodation . The stunning Swan River meanders its way through the city of Perth before emptying into the Indian Ocean at Fremantle, this beautiful river gives life to Perth, providing a meeting place for people to relax and enjoy, its waters are full of boats, kite-surfers, paddle-boarders and jet-skiers, the river's banks are dotted with scenic picnic spots and multi-million dollar real-estate. Breakfast, Special Cruise Lunch, Overnight Accommodation . Breakfast, Meet and Greet Personalised Departure Transfer, Flight to Broome, Overnight Broome Accommodation. A tour of Willie Creek Pearl Farm will introduce you to the fascinating production of the famed Australian South Sea Cultured Pearls, informative and friendly guides show you how the oysters are seeded, harvested and graded on their way to becoming the beautiful end product that graces the showrooms. Willie Creek Pearl Farm Luxury Coach Tour with Hotel Pick Up, Refreshments, Overnight Accommodation. Cape Leveque located in Western Australia's vast and remote Kimberley region is a little sliver of paradise on earth, this beautiful peninsula is home to shimmering white sand beaches, glistening turquoise waters and rugged ochre cliffs, stroll cliff-tops and deserted beaches, board a glass-bottom boat and see multicoloured fish and snorkel in crystal clear waters. Cape Leveque Luxury 4WD Tour with Hotel Pick Up, Morning Tea, Afternoon Tea, Lunch, Overnight Accommodation. A hovercraft tour of Roebuck Bay offers a simply unforgettable experience, marvel at the curious and unique sights along Broome town's gorgeous coastline as you skim emerald waters and sand bars including the rusting remains of Dutch WWII Catalina flying boats and perfectly preserved dinosaur footprints and see sensational sunsets from outlying tidal flats. No visit to Broome is complete without experiencing an iconic camel ride along the white sands of beautiful Cable Beach, as the camel-train snakes its way along the shoreline watch in awe as the crystal clear waters of the Indian Ocean lap gently at the shore dissolving the pure white sands and the spectacular setting sun makes its way below the distant horizon. Enjoy a day of leisure and explore Broome at your own pace before enjoying a memorable sunset camel ride along Cable Beach. Cable Beach Camel Ride, Overnight Accommodation. 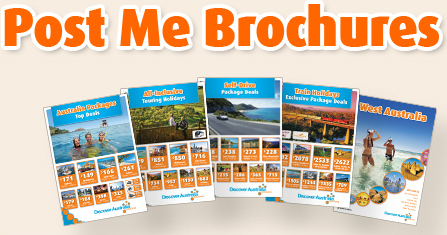 The Perth and Broome All-Inclusive is very popular. Many dates book out well in advance, please book soon.